I have to say there are not many recipes that survived the journey from London to Sydney, but this is definitely one of them. It’s survived the tests of both distance and time, because it’s cheap, quick, easy and super versatile plus it’s packed full of good stuff. You can swap your favourite veggies in and out and experiment with herbs and spices to add extra heat or flavour. I think I first started making this when I first joined Weight Watchers, that would have been the first time of very many! If there was a world championship for Yoyo Dieting, I would probably win it, I’ve been on and off the eating well wagon that many times. These days I like to enjoy everything in moderation because life is too short to say no to cake, don’t you agree? 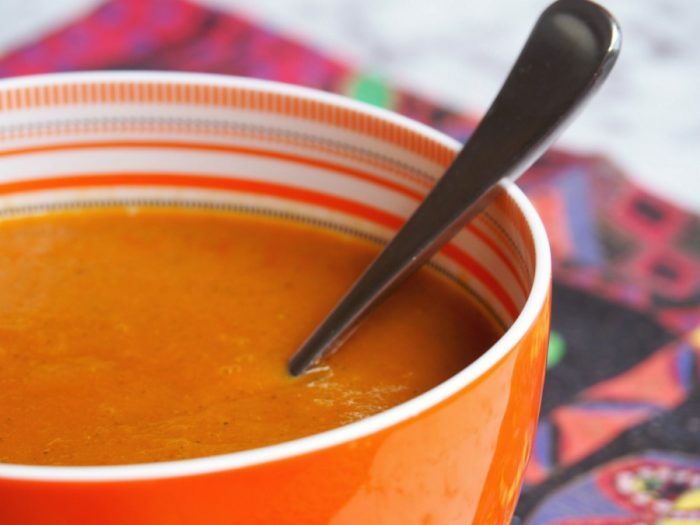 If you’re eating on a Weight Watchers or Slimming World eating plan, this soup is free, and even if you’re not, you’ll find that this souper bowl will cover all the bases, it tastes good and it’s good for you! Have you got a favourite age old recipe? What do you never say no to? Cover and cook until the vegetables until soft, for about 20 minutes. 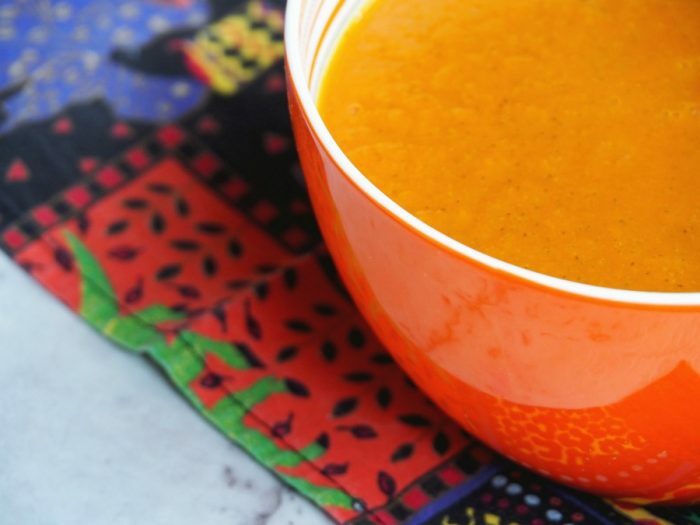 For a smooth soup, puree all the ingredients in a blender. For a chunky soup, just puree half the mixture. Place onions, carrots and zucchini in TM bowl and chop for 3 seconds on speed 5. Cook for 20 minutes on varoma temperature on reverse speed 1. For a smooth soup, blend for 1 minute, slowly increasing from speed 1 to speed 9. 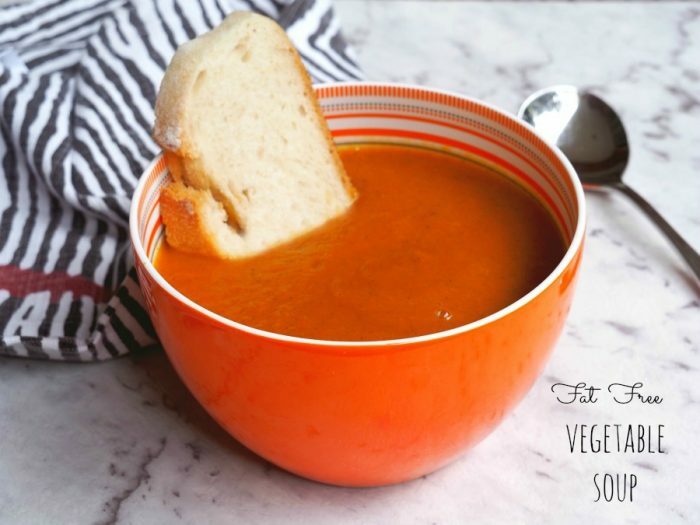 For a chunkier soup, just blend half the mixture.